Tan's Techy and Sketchy: Crowning of WSO2 ESB as "Usain Bolt" in the ESB space !!! Crowning of WSO2 ESB as "Usain Bolt" in the ESB space !!! With the latest round of performance testing results published for WSO2 ESB 4.8.1, it is unveiled that the fastest ESB in the ESB space is WSO2 ESB. You can find the complete article here. The tests has been conducted against number of leading open source ESB's and it is proven that WSO2 ESB surpasses rest in almost all the scenarios and crowned as the No 1. The table and the graph below shows the summarized results. 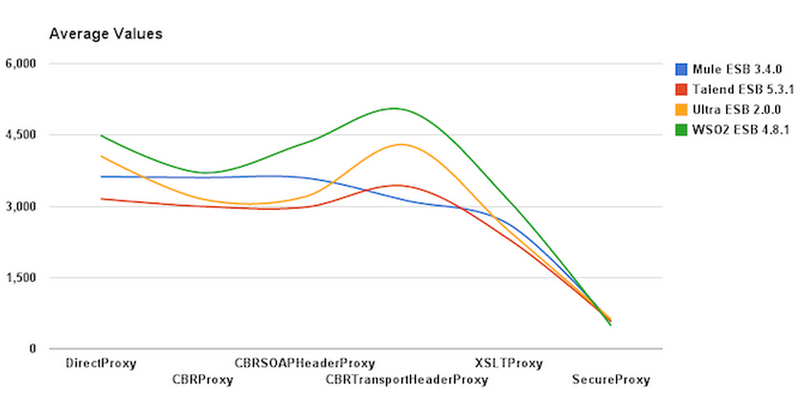 WSO2 ESB 4.8.1 has continued to outperform all other compared ESBs in almost all scenarios !! !